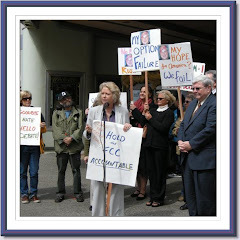 Sue Wilson Reports: FCC to Public: Boycott Rush and Leave Us Alone! 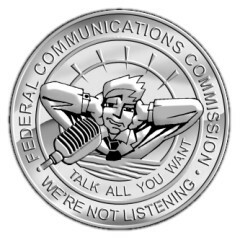 The FCC is wading into the Conservative Talk Radio debate, dipping its toe in the water just enough to make it seem it is doing its job in protecting the public interest in broadcasting, but not making enough of a ripple to rock the corporate lobbyists’ boat. Boy oh boy, what a gutsy statement. For the first time, the agency acknowledges that what comes out of talk radio could well be pure lies. Still, it claims there is nothing it can do about it. There’s plenty the FCC do. It could follow court rulings and require that women and minorities, which own less than 8% of all radio stations be brought up to parity. The Third Circuit Court of Appeals has so ordered; but that would be difficult, and the FCC always takes the easy way, the pro-corporate way out. One simple step would be to require broadcasters to clearly delineate which of their shows are news, and which are opinion, and therefore colored with misinformation. That would be really easy, but not easy enough for the FCC. It is not inconceivable the Rush Limbaugh boycott could drive Clear Channel into bankruptcy. Perhaps the FCC would then force divestiture of Clear Channel stations so women and minorities can exercise their own First Amendment rights. But don’t bet on it, as that would be difficult. The problem is that the FCC is effectively the Sheriff of broadcasting. Imagine if you called the cops, telling them about gang houses dominating 90% of your neighborhood, and they tell you to take matters into your own hands and stage a protest. You’d try to find a new sheriff. Despite the success of the Limbaugh boycott, we the people still depend on the FCC to enforce the law, no matter how difficult it may be for them. We need to put the same pressure on the FCC that we have on Rush, but as we can’t boycott the FCC, is anyone ready to Occupy? That splash would really rock the boat. You conveniently ignore the fact that Red Lion assumed that the fairness doctrine was constitutional, which it was not. What you call private censorship is protected by the equal protection clause. See Loyd v Tanner. You also ignore the fact that Radio stations enjoy the same free speech and freedom of the press rights guaranteed by the first amendment. Government control over content is called propaganda. Care to describe what forms of governments put such restrictions on the media or on free speech for that matter.